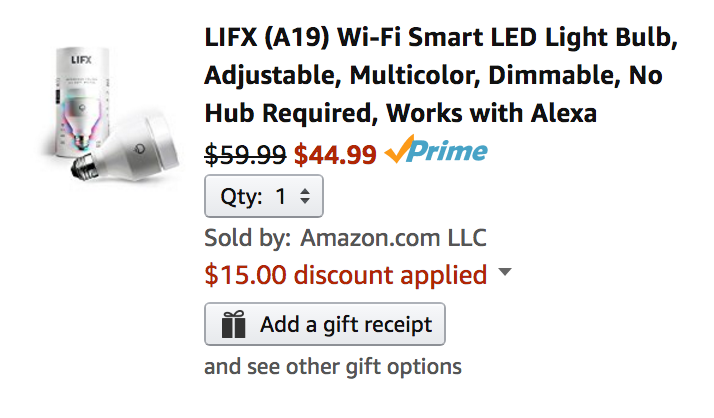 Amazon offers the LIFX A19 Wi-Fi Smart LED Mutli-color Light Bulb for $44.99 shipped. Note: discounted price is reflected in the cart. That’s a $15 savings off the regular price, a match of the Amazon all-time low and the best offer currently available. Rated 4.6/5 stars by 173 Best Buy customers.